Hey Y'all! If you're here you must be interested in all things baby and kid food related! 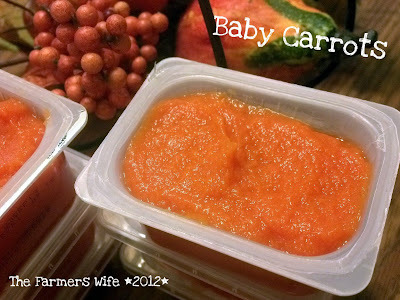 Here on this page I will share my baby food recipes with y'all and special kid sections of the blog! Happy Cooking! 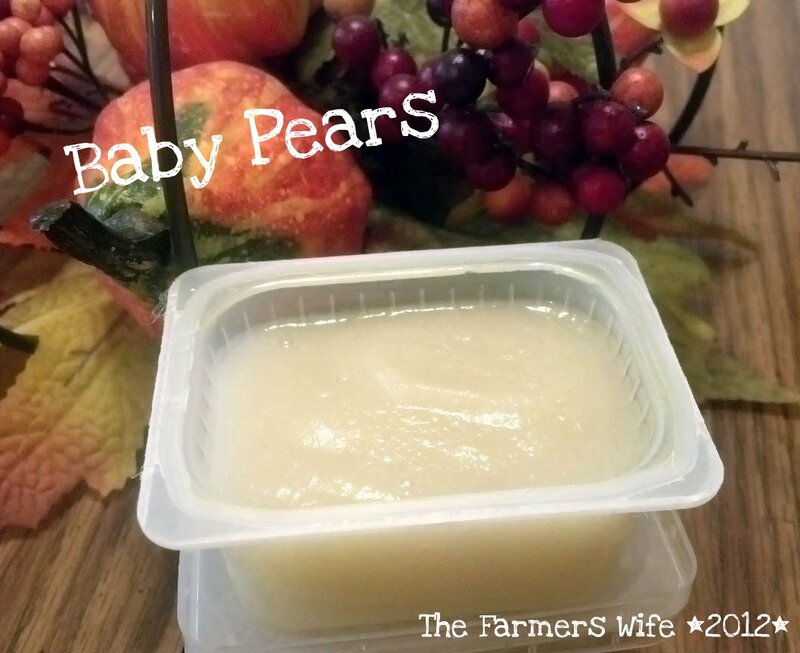 When I was pregnant with our daughter everyone was asking me if I was going to be making homemade baby food for her, and y'all know how busy this Momma is, but I've always known that homemade was best. Along with that and doing research I found out there are TONS of products on the market to "help" us Mom's (or the food saavy Dad's!) make healthy food for our kiddos and while I think some of them would be beyond awesome and maybe make my life slightly easier we couldn't afford these items. So my essential baby food making gizmo's will be things almost everyone already has in their kitchen or can come by easily and cheaply! If you have ANY questions or are looking for something specific please feel free to leave a comment or email me at thefarmerswifeblog@gmail.com! Small 2-4 Oz. 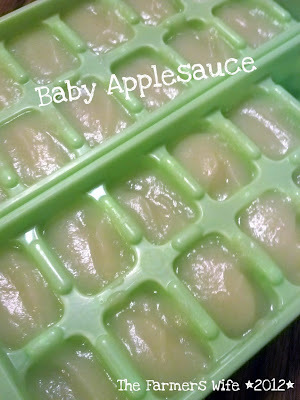 Containers AND/OR Ice Cube Trays (I buy store bought baby foods first to see what baby likes/reacts to before making my own food, then I save the containers and wash and reuse those! They are just perfect!) *for Ice Cube Trays you will want to cover them in plastic wrap before freezing and let set up overnight, then pop them out and put into Gallon sized Ziploc Bags and label it well. Then you can take out a cube at a time, check your trays but most are 1oz for each cube. This is great for mixing different foods later on too! Baby Oatmeal ~ Progressive photo to see ground up to fully cooked! 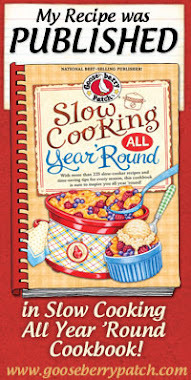 For this recipe you will need Old Fashioned Oats, a food processor or blender, small pot, whisk and water. In your food processor add 3 cups of oats, and grind it into a powder like substance, put it into a sealed container. This will give a supply to last 1-2 months depending on how much your baby eats. For this recipe you will need Apples (I like gala they are a really light flavored apple great for babies), a good knife to peel and slice the apples, a steamer, water, food processor or blender and 2-4oz containers/ice cube trays to store and freeze. Peel and core your apples, and slice into small wedges. Place in your steamer, and steam for 5-10 minutes until soft (I poke it with a fork to see if it's soft or still has some toughness to it). Then place the steamed apples into your food processor and add about 1/4 cup of the water you steamed them with to start with. Puree until smooth, adding more water as needed to reach desired consistency. At this point you can add some cinnamon for flavor if your baby is older. Spoon into your desired containers, seal and this will keep fresh in the fridge for about 1 week and the freezer for 6-8 weeks. For this recipe you will need Pears, a good knife to peel and slice them, a melon baller or teaspoon to core it, steamer, water, food processor or blender and 2-4 oz containers/ice cube trays. Peel and core your pears, I found using a round teaspoon was great for digging out the core of the pears. Then slice into 1/4" thick slices and place into your steamer. Steam for about 5-10 minutes or until soft. Once softened place into your food processor along with 1/4 cup of the water you steamed them with to start with. Puree until smooth, adding more water if needed to reach desired consistency. Then spoon into your containers, and seal. This will keep fresh in the fridge for about 1 week and the freezer about 6-8 weeks. For this recipe you will need either regular carrots OR you can use baby carrots for a quick dump and steam option, veggie peeler (if using regular carrots), knife, steamer, water, food processor (this recipe I found doesn't work well with a blender) and 2-4 oz containers/ice cube trays to store. For regular carrots, wash and peel the carrots then chop into small carrot sticks and place into steamer. OR Use baby carrots and dump directly into your steamer, checking for any leftover pieces of root etc. Steam for about 10-15 minutes or until really soft, carrots take longer to steam than your fruits. Once steamed place into your food processor with FRESH water (**DO NOT add the water you steamed the carrots in, that contains a lot of nitrates which are not healthy for little babies, ALWAYS use fresh filtered water**) add about 1/2 cup of fresh water to start with, and have more on hand to add in, carrots do not puree as smoothly as fruit. Puree until you reach your desired consistency, I added about 1 cup of fresh water to get the consistency my baby girl likes. Spoon into 2-4 oz. containers/ice cube trays for storing. These will keep in the fridge for about 1 week and the freezer 6-8 weeks. 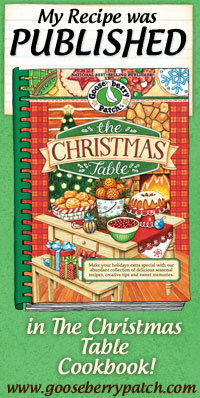 When doing this I suggest making the foods individually, and freezing in ice cube trays for easy defrosting and mixing. So far I haven't tried many, but our favorites are Mashed up Banana's, mixed with Applesauce and Pears, I take 1 cube of each frozen applesauce and pear, heat in the microwave about 15-30 seconds til defrosted then mash banana into it! Apples and Carrots ~ Take 1-2 frozen cubes of each Carrots and Applesauce, place in a microwave safe bowl and defrost for about 20-30 seconds. Mix together and feed baby!